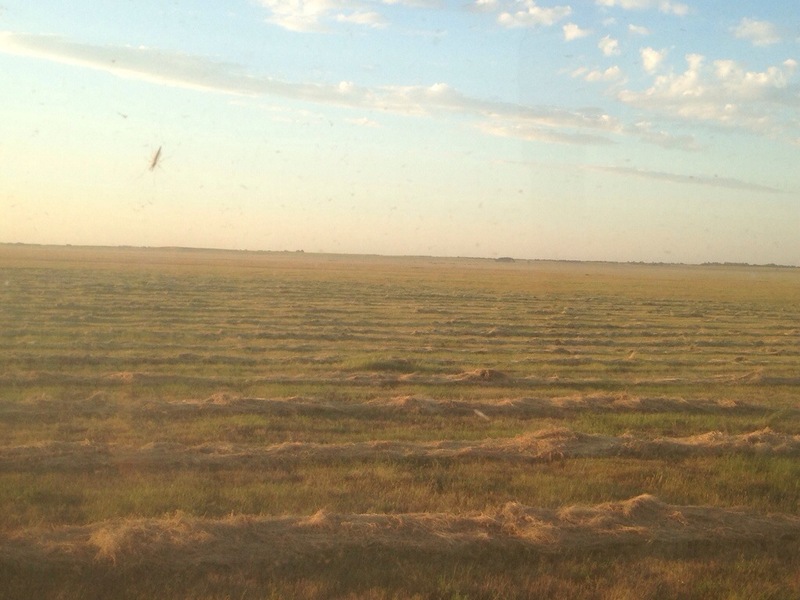 Musings from the baler | Loch Lomond Livestock Ltd.
Haying season is into full swing here, although you would hardly know it. Much of the grassland in the area has been broken up to make way for crops in the last few years. I write this post from the baling tractor, a sentence or two at a time while the baler wraps twine around the finished bale. So far the weather has been nearly perfect for making hay; warm breezy days mean the hay dries quickly and there has been no rain to weather and reduce the quality of the feed. The field I am working at now is on top of a hill, giving me a beautiful view of the countryside. I used to view tractor work as a necessary evil of raising livestock (although some would disagree that it is necessary!) but I have warmed up to some of it over the past couple years. It provides a good opportunity to think and plan, and to enjoy whatever environment you might be in.